Planning an event in the Southern Part of Heaven? 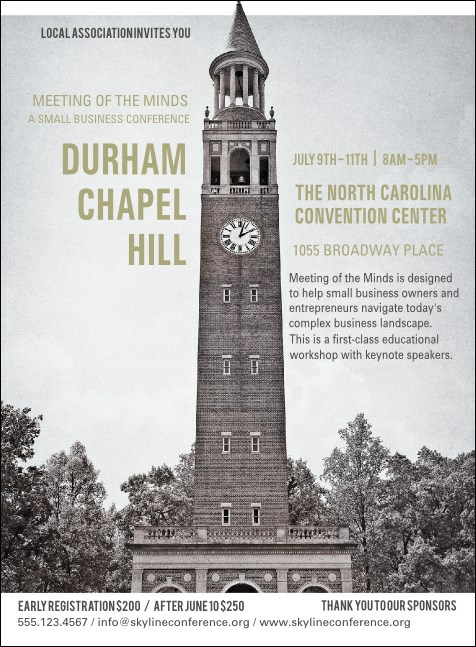 Guests will RSVP with the Chapel Hill Invitation. With rich black, white, and grey tones and the Bell Tower surrounded by trees, this invitation represents the best of this great area. Combine with a Matching Event Kit for easy event planning in Tar Heel territory! Start your NC event with the right invitation from TicketPrinting.com.